He was the last of many men I sent to hell, but he made me think of the first..." - Ned Willard, a spy in Elizabethan court. 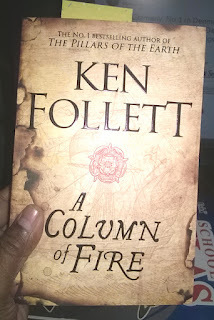 I have read "The Pillars of the Earth" but not the second Kingsbridge series "World Without End" and this book "A Column Of Fire" the third series can be read as a standalone novel. What more drama can one need as the author Ken Follett has chosen turbulent 16th century England. The novel touches the rise of legendary Elizabeth Tudor, how she became the Queen and how she used the professional secret service to hold to her throne till her death. With the actual historical characters the author have used his imagination to create most lovable and most hate able fictional characters. I like to write about the 5 most important characters. A Kingsbridge resident and son of Alice who lost her fortune by the intervention of Catholic church. Then he witness the burning of a Protestant believer in Kingsbridge which made him emotional to choose Elizabeth, she promising religious tolerance. 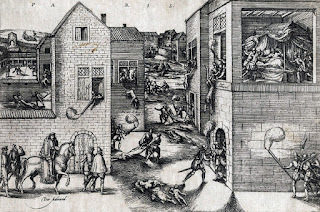 Ned wanted his country to be a place where Catholics and Protestants don't kill each other and for that he thought that Elizabeth Tudor should ascend the throne. A significant reason for Ned to join Elizabeth Tudor side first as an assistant to his patron Sir William Cecil and then to the spymaster Sir Francis Walsingham. His life saw four essential women one his mother Alice, 2nd his lover Margery, 3rd his wife Sylvie Palot and 4th Queen Elizabeth. Unfortunately all his loved women predeceased him. Each character on their own, influences his life and his progress which we can grasp from the novel. And finally the author has made a question did Elizabeth was tolerant to Catholics? did she achieved what Ned thought off? Daughter of Giles Palot a printer in France. They belong to Protestant church and France Government killed Protestants without mercy. They secretly sell Protestant bibles. Sylvie falls in love with Pierre Aumande (an illegitimate son of Guise family) unknown to her that Pierre is spy sent by Francois the duke of Guise to know the whereabouts of protestants. On the day of their marriage Pierre betrays Sylvie's family, she loses her father and her fortune. Then she and her mother lives in a pathetic condition. I had to shed tears when I read that she was not having any money to buy food and she was tempted to become a whore. Penury drives her to that extent but God intervenes and saves her from the sin. She then becomes a seller of papers and ink in France. But her religious faith makes her to sell bibles. Sylvie a smart and daring girl she goes outside her country and orders bibles then she imports them into her country with necessary bribe. Her life makes a turn when she meets Ned Willard, knowing his past life she marries him. They make a great pair, unfortunately she cannot bear children and dies at the hands of Rollo, Margery's brother. A girl from Fitzgerald household who loves Ned but political intervention makes her to marry Bart, son of Earl of Shiring. Later her father in law rapes her and she gets pregnant unknown to Bart. Even though she is Catholic she does not like her country to be with war with one another. During Ned's visits to Kingsbridge Margery loses her control and they make love. Again she becomes pregnant and bears a son resembling Ned. With her husband Bart she gives asylum to many Catholic priest sent by his brother Rollo who is also known as Jean Langlias a conspirator along with France and Spain help tires to assassinate Elizabeth. After Bart's death she marries her love of her life Ned. In later years she has to choose the side did she made a good choice? her decision becomes the pivotal point of the novel. The most loathsome character we will ever despise in A Column Of Fire. Born as an illegitimate he was not accepted by Guise family. He lives by deceiving others until he meets duke of Guise Francois. He asks him to penetrate the protestant group and get the address of the persons. Pierre finishes the task but he did not gets the due acknowledgement. After the death of Francois, Pierre acts fast and becomes the advisor to Henri, son of Francois Guise. His progress is halted by his marriage with a maid. Later he kills her. The author has picked up the interpretation of Jean-Louis Bourgeon, that the Guise family was behind the St. Bartholomew massacre. And Ken Follett cleverly uses Pierre and Henri characters in the massacre. Pierre does all the sins in name of God, at the end he gets the needed punishment. Very cunning and intelligent antagonist of the novel, his involvement with Pierre increases the pace of the novel. A staunch catholic believer who despises Elizabeth and Ned Willard. The person who sacrifices his life for the cause and becomes Jean Langlias the most wanted criminal in England. He is the reason for not allowing Margery to marry Ned, conspires with Pierre to eliminate Queen Elizabeth, becomes the secret messenger for Mary Queen of Scots when she is in imprisoned in a castle, later a reason to her death, killing Sylvie Palot, burning protestants in Kingsbridge, cheating Alice, along with catholic church and the sin goes on. His final mission is to kill King James I in the parliament. Did he succeeded in his plan? The most elusive man hunted for many years and how he was caught are in the remaining pages of the story. There are many more characters which adds pace to the story. One such is Ebrima Dabo first a farmer in West Africa, then a soldier, a prisoner of war, a slave in Seville, a soldier again in the Netherlands and at last a rich Antwerp iron maker. I liked the vivid description given by the author on St. Bartholomew's day massacre, the conquest of Spanish Armada and the execution of Mary Queen of Scots. I also read the article about the cover design, the artist using the images of stacking burnt out papers and the symbol of Tudor in the center emphasizing the theme of the novel. As I mentioned already what more drama is needed for the historical fiction buffs like me. 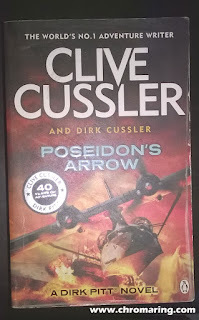 I thoroughly enjoyed the novel. 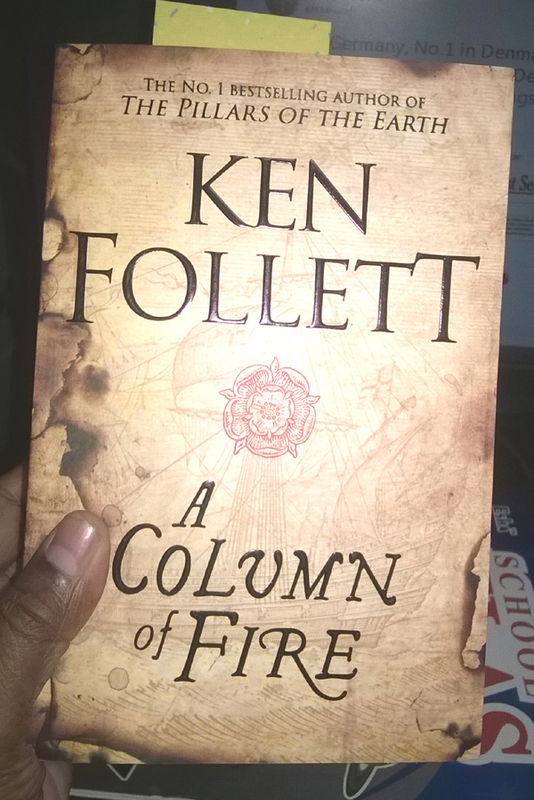 A big thanks to Ken Follett for making me to read, rejoice and live with the 16th Century characters for the past one month. iam imagining M.G.R. in the role of ned. what a breathtaking mass movie it will be. It will be a grand and mass movie.Thanks for the comments.